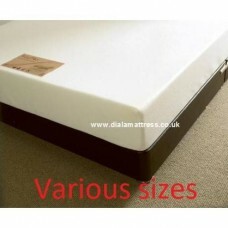 We supply a comprehensive collection of Mattresses to suit all bedrooms, body types and budgets. Our diverse range is available for next day or same day delivery depending on how far away you are. Here at, Dial-A-Mattress, we understand how important it is to find the perfect mattress to suit your needs and that will have you sleeping soundly. Our range of mattresses includes traditional sprung mattresses, pocket sprung mattresses, memory foam mattresses, foam mattresses and latex mattresses. 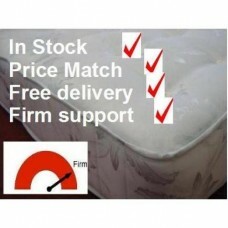 Browse our full range of mattresses here, and select how you would like to view the products. ie in price order. The Mayfair mattress is made by Slumbereeze beds. Renown for their excellent value for money beds an..
York Traditional Sprung Mattress is made in the UK by Dura Beds A quality renowed manufac.. The Princess Mattress is made by Slumbereeze beds. Renown for their excellent value for money beds a..
Healthcare Supreme Traditional Sprung Mattress is made in the UK by Dura Beds A quality r.. The Windsor mattress is made by Slumbereeze beds. Renown for their excellent value for money beds an..
Bronzeflex single mattress £157.35 £119.35 Double 135cm mattress £169.35 King ..
Sapphire Mattress is made in the Uk by Kayflex. An outstanding UK manufacturer specialising in.. The Slumbereeze memory foam mattress is made by Slumbereeze beds. 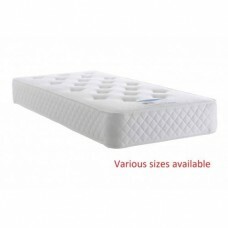 Renown for their excellent value f..
Balmoral pocket spring mattress is made in the UK by Dura Beds A quality renowed manufacturer ..
Coolmax mattress The Coolmax is an advanced material, having great effects in high performanc.. 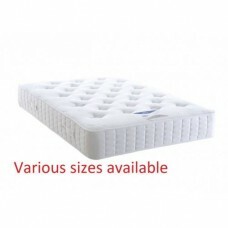 Platinum memory foam mattress The Platinum comprises of a 17.5cm reflex foam base topped w..